Social media tops print as news source: For the first time, more Americans get news from social media than print newspapers, says the Pew Research Center. Overall, television still is the most popular platform for news consumption, writes Elisa Shearer. Age gaps widen in media preferences. Print’s popularity persists among ages 65 and older. Younger Americans are not wed to one platform. Youths are best at telling fact from opinion: A Pew Research Center news analysis finds younger Americans are better than elders at separating factual statements in the news from opinion. “This stronger ability to classify statements regardless of their ideological appeals may well be tied to the fact that younger adults — especially Millennials — are less likely to strongly identify with either political party,” write Jeffrey Gottfried and Elizabeth Greico. Media audiences drop, except radio: Michael Barthel reports Pew Research Center findings for every major sector of the U.S. news media for 2017. “Radio was the only sector studied that did not show an audience decline, by several measures,” writes Barthel. Newspapers, cable TV, network TV, local TV and digital-native news were all down by five to 15 percent. Americans rank the three major major traditional commercial broadcast television networks—ABC, CBS and NBC—as the most credible news sources, according to a poll that explored the credibility of 13 print and digital news sources. 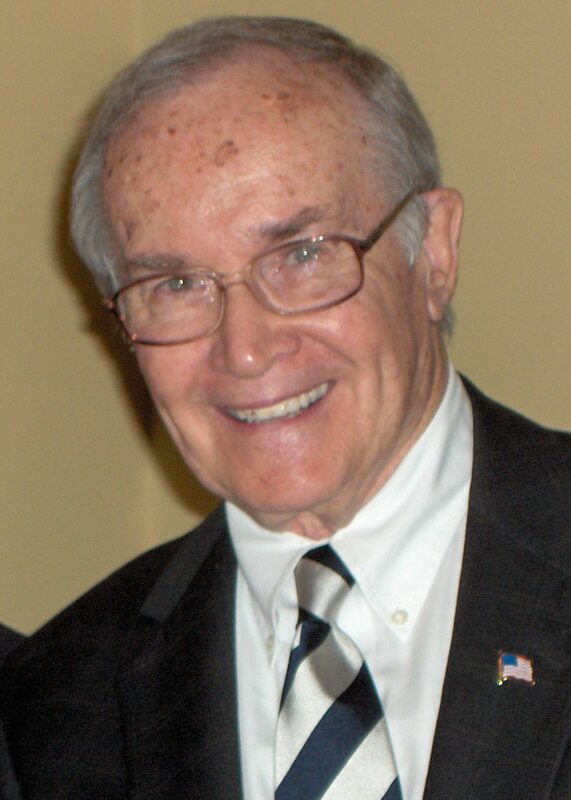 Newton Minow, as head of the Federal Communications Commission, called television a “vast wasteland.” Wikipedia photo. “Despite the proliferation of coverage of fake news and historically low opinion of the media, a majority of adults think most cable news networks and major newspapers are credible,” reported morningconsult.com, a nonpartisan digital media and survey research company based in Washington, D.C.
“Television news gets the highest number of people saying they are credible, with major newspapers such as the New York Times not trailing far behind,” wrote Laura Nichols. While the three major television networks took the top three slots, the Wall Street Journal and the Times followed immediately after them. Historically speaking, this is an interesting turn of events. Fifty-five years ago, Newton Minow, then chair of the Federal Communications Commission, described television as a “vast wasteland” in speech at the 1961 National Association of Broadcasters convention. Despite such poor expectations, television news has grown into a giant. As technology improved, it became more ubiquitous, even intrusive. And the medium proved itself able to show and tell complicated issues, in documentaries and far-ranging reports. Even the humble smartphone records news events, turning everyone into a television photographer.